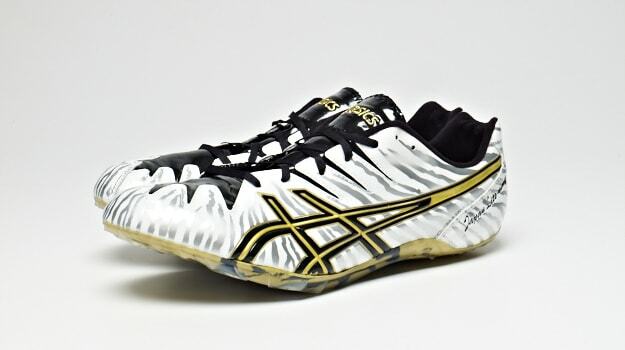 The Asics Japan-Lite Ning 4 provides the sort of second-skin fit needed in a track spike with a Discrete Eyelet upper with a stretch tongue and vamp. Its synthetic leather upper offers lightweight and breathable comfort during intense sprints. With an Ecsaine collar lining, the inner workings of these spikes are soft enough that you can use them without socks. The full-length Pebax spike plate provides free range of movement and flexibility, ensuring that these won&apos;t hold you back. The removable spikes allow for the setup to be adjusted to the user&apos;s needs, and they work best for sprints up to 400 meters and 110-meter hurdles.